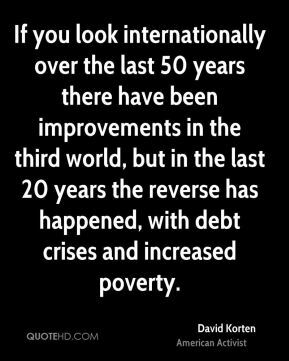 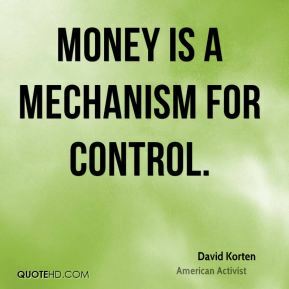 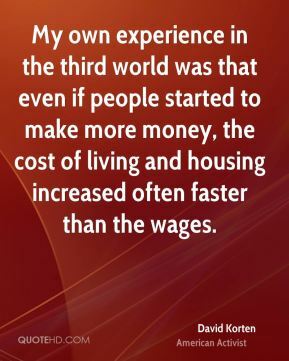 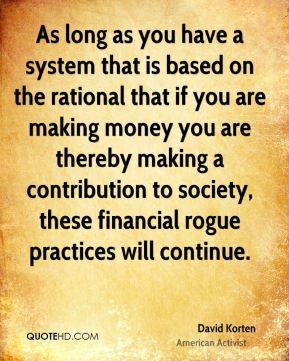 As long as you have a system that is based on the rational that if you are making money you are thereby making a contribution to society, these financial rogue practices will continue. 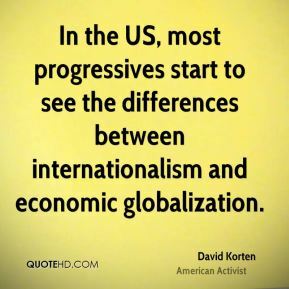 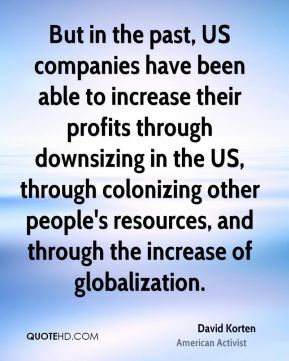 But in the past, US companies have been able to increase their profits through downsizing in the US, through colonizing other people's resources, and through the increase of globalization. 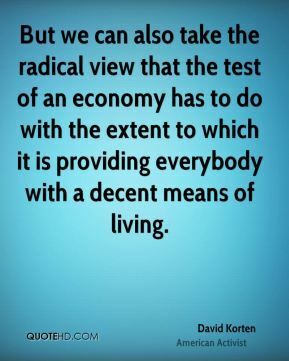 But we can also take the radical view that the test of an economy has to do with the extent to which it is providing everybody with a decent means of living. 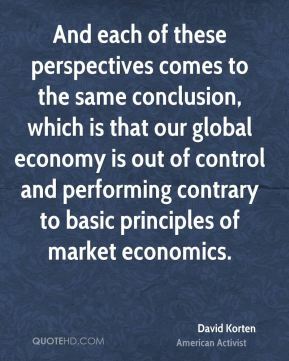 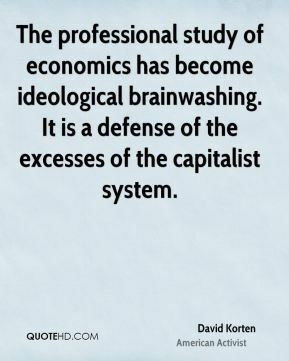 Capitalism and the market are presented as synonymous, but they are not. 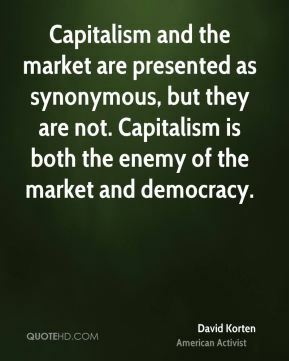 Capitalism is both the enemy of the market and democracy. 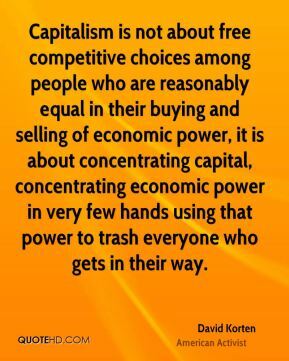 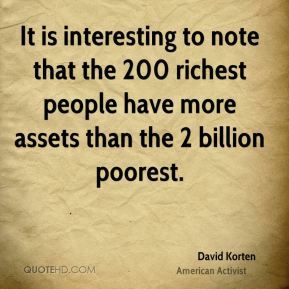 Capitalism is not about free competitive choices among people who are reasonably equal in their buying and selling of economic power, it is about concentrating capital, concentrating economic power in very few hands using that power to trash everyone who gets in their way. 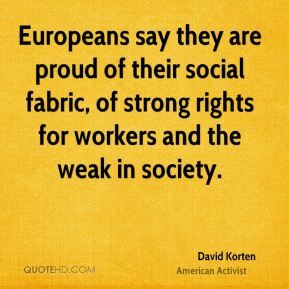 Europeans say they are proud of their social fabric, of strong rights for workers and the weak in society. 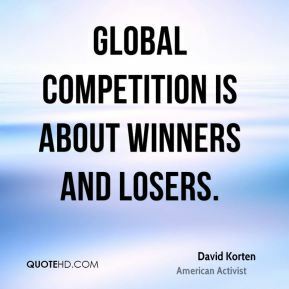 Global competition is about winners and losers. 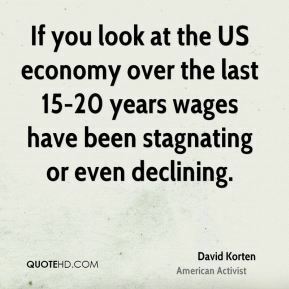 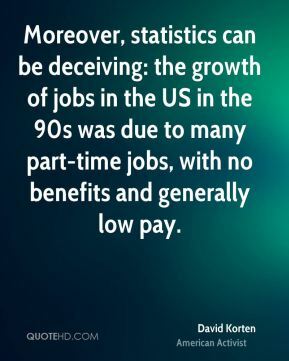 If you look at the US economy over the last 15-20 years wages have been stagnating or even declining. 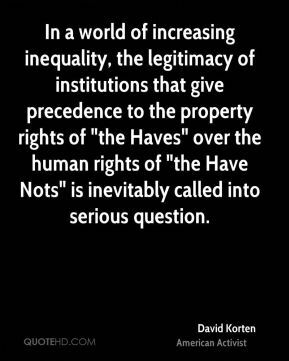 In a world of increasing inequality, the legitimacy of institutions that give precedence to the property rights of "the Haves" over the human rights of "the Have Nots" is inevitably called into serious question. 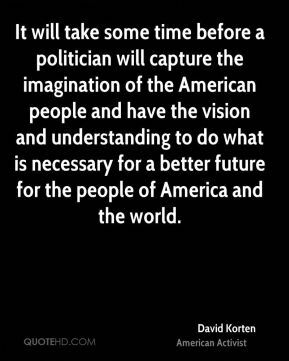 It will take some time before a politician will capture the imagination of the American people and have the vision and understanding to do what is necessary for a better future for the people of America and the world. 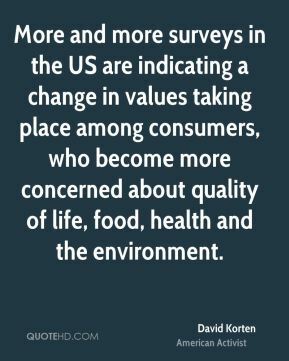 More and more surveys in the US are indicating a change in values taking place among consumers, who become more concerned about quality of life, food, health and the environment. 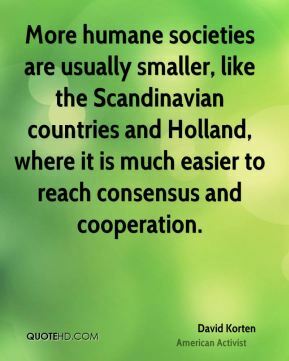 More humane societies are usually smaller, like the Scandinavian countries and Holland, where it is much easier to reach consensus and cooperation. 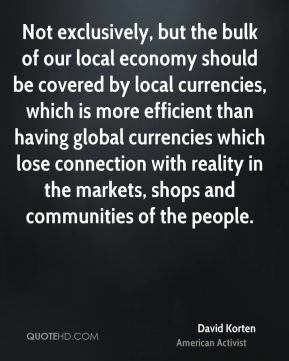 Not exclusively, but the bulk of our local economy should be covered by local currencies, which is more efficient than having global currencies which lose connection with reality in the markets, shops and communities of the people. 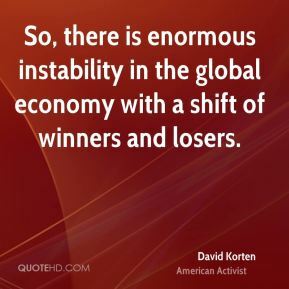 So, there is enormous instability in the global economy with a shift of winners and losers. 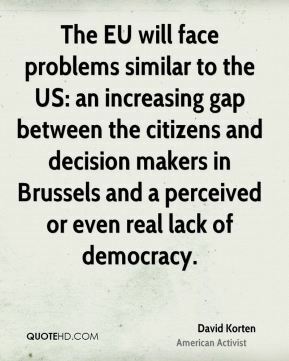 The EU will face problems similar to the US: an increasing gap between the citizens and decision makers in Brussels and a perceived or even real lack of democracy. 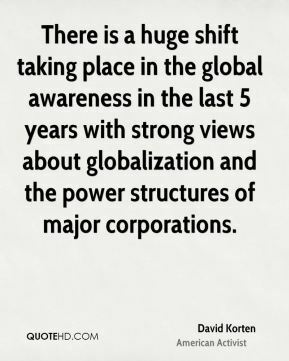 There is a huge shift taking place in the global awareness in the last 5 years with strong views about globalization and the power structures of major corporations.